A Bay Of Blood O.S.T. - LIMITED EDITION OF 500 hand-numbered copies. Copies from 001 to 100 in colored vinyl. A Bay Of Blood is a film directed by Mario Bava, known for explicitly inspiring the Friday the 13th saga, as well as for being the forerunner of the slasher genre, is undoubtedly one of the most inspirational masters of horror cinema. His magical use of camera zoom, off-field and out of focus, and cynical and crude death set pieces, make it a masterpiece in which every scene exudes very personal and expressive poetry. 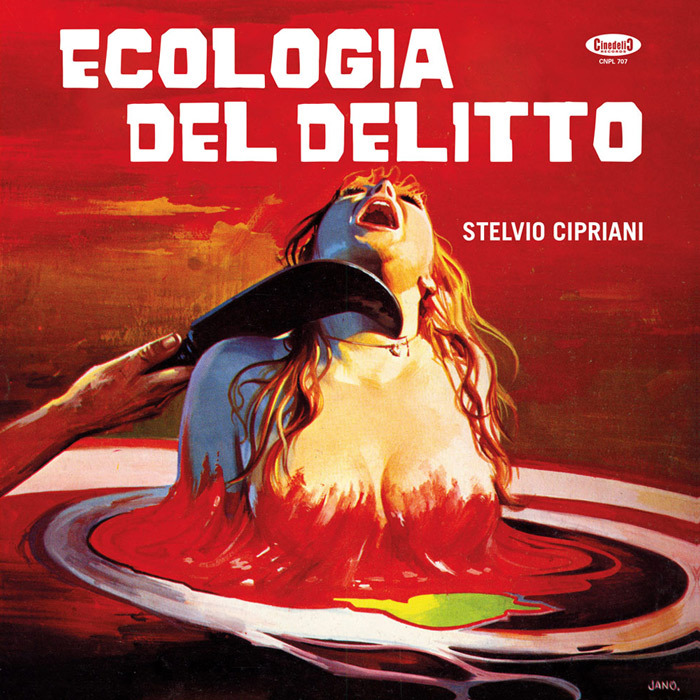 Stelvio Cipriani's score, which develops a rich sequence of different themes and genres, and all accented by the evocative melodies and excellent orchestrations of the Maestro, is brilliantly supported by the excellent rhythm performance of Enzo Restuccia on drums and Mandrake Som on the tumba and bongos. It is the voodoo-style percussion and violin that introduces the splendid original theme played by the Maestro himself who plays piano, celestial, spinetta, harpsichord, and organ in the arc of the soundtrack. All in all, 21 tracks that make up the score: Evelyn Theme, the bossa nova Due Amanti, the dramatic and psychedelic Un Cadavere Nel Lago the Italian-style samba of Giovani e Liberi, Shake Giradischi, whose title is well representative, the tension the pursuit of Inseguimento E Uccisione, the abstraction of Ritrovamento Dei Cadaveri, and so many others.